Sen. John McCain, who is taking the lead on immigration reforms, said the Border Patrol doesn’t need an additional 20,000 agents, Politic365 reports. 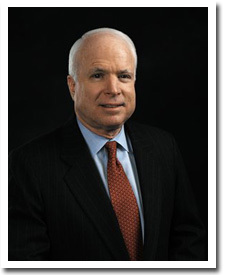 McCain spoke at an AFL-CIO immigration forum Wednesday. The Senate in late June approved an immigration bill amendment that cost $40 billion, largely to hire the 20,000 agents. It’s unclear whether McCain will be able to convince his colleagues that the bill is overkill. Posted: 8/1/13 at 10:48 AM under News Story.